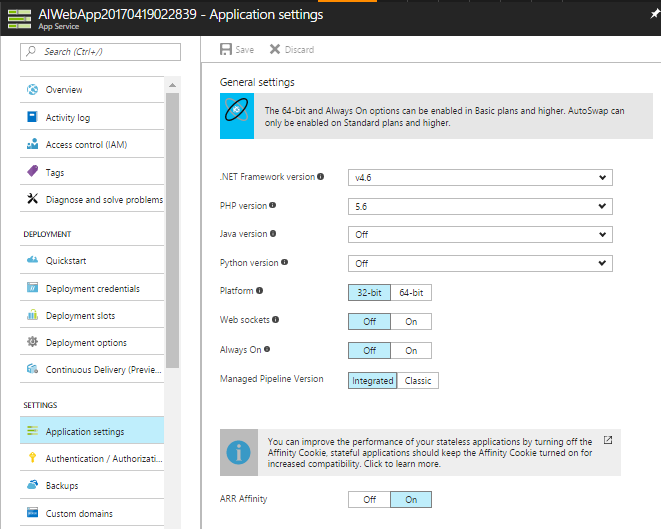 If you have enabled Application Insights in Azure, you can add page view and user telemetry. You can learn how to switch on server-side monitoring in our documentation. 3. Save the settings and Restart your app in the Overview tab.